Canada's Milos Raonic is through to the quarter-finals of the Mercedes Cup after posting a 6-2, 6-4 win over Hungary's Marton Fucsovics on Thursday. As he often does, Raonic used his fearsome serve to his advantage in the second-round match. He had 19 aces, compared to just three for Fucsovics. Raonic, from Thornhill, Ont., won 86 per cent of his first service points, and 92 per cent of second service points. The seventh seed converted all three of his break point opportunities, and never faced break point himself. Next up for Raonic is third-seed Tomas Berdych. Raonic holds a 5-3 edge in previous matchups against Berdych, though the Czech veteran won their last meeting in the semifinals of the 2017 Lyon clay-court tournament. 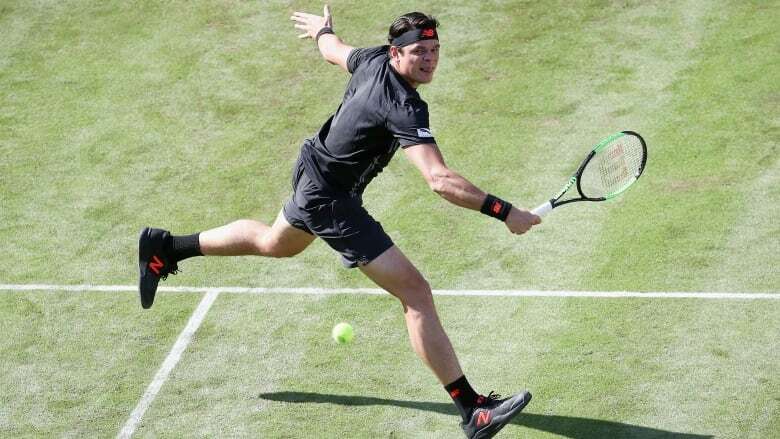 Raonic is playing in the grass-court Stuttgart event as he prepares for Wimbledon after missing the end of the clay-court season, including the French Open, with an undisclosed injury.